From decades of work in the Jefferson City area, Roark Aluminum understands the importance of protecting your home from the dangers of weather and sun. Without a properly functioning gutter system, water will spread to every nook and cranny of your home. Getting under your shingles, water can do major damage to your roof, potentially leading to leaking into your home. Running down the siding of your house, this hydrating but corrosive giant can wear away at your home’s exterior, leading to functional and cosmetic damage. Most alarming, water pooling around the base of your home can create major and often-times irreversible foundation damage. Do not panic! With our state-of-the-art gutter systems and leaf guards, you can stay off the ladder and rest comfortably knowing your home is protected by our industry-leading water drainage systems. The quality of a seamless gutter system prevents damage to your walls and foundation and can help prevent mold. Our seamless gutter systems are now finished with Dura Coat XT-10. 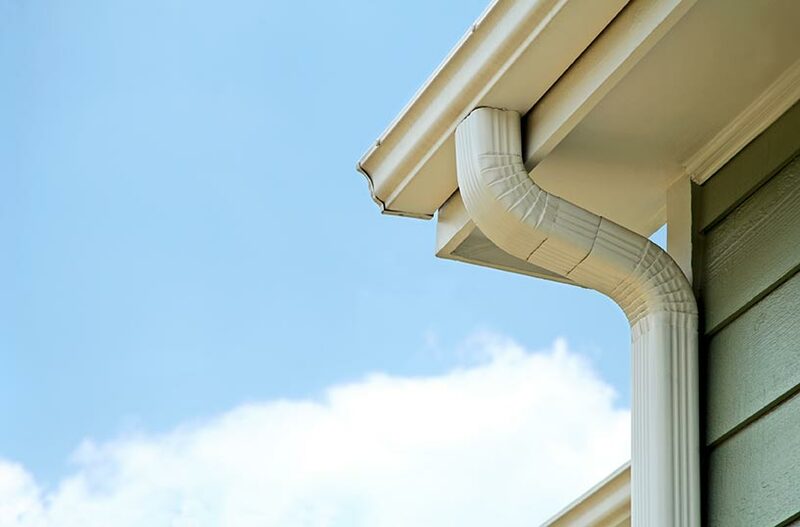 This paint contains TEFLON® surface protector, an industry leading improvement that ensures our gutters will look better, stay cleaner, and last longer than any other standard painted gutter. It’s harder and stronger, so it lasts longer and resists scratching. The slippery surface repels dirt, which makes gutter cleaning often as simple as aiming a hose. The surface resists fading, salt, and pollution. Dura Coat XT-10 with TEFLON® surface protector performs better in hot climates where other paints fail.